Rebranded Dunkin' opening this week in Ventnor; one of 50 in U.S.
Next-generation Dunkin' replaces longstanding Dunkin' Donuts brand. The gradual overhaul of Dunkin' Donuts as simply Dunkin' will hit home in the region this week as a new store in Ventnor, New Jersey, with display the company's brand redesign. Dunkin' Donuts announced last month it would introduce a next generation brand that broadens the company's focus beyond donuts. A new menu from Dunkin' will feature breakfast sandwiches, donut fries, hash browns, wraps and other new items in addition to the traditional doughnuts and bagels. The new store at Ventnor and South Portland avenues will be one of about 50 in the United States to debut under the new brand by the end of the year, according to The Press of Atlantic City. Part of the company's rebrand will also place a new emphasis on coffee and other beverages, including a tap system that serves coffee, iced tea, cold brew and nitro infused coffee, among other options. 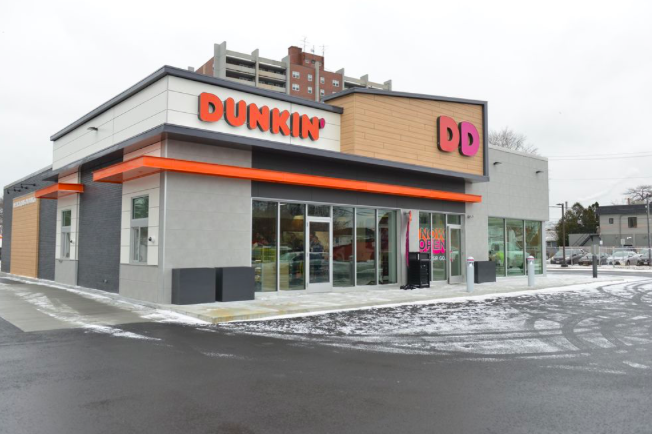 The shift will accompanied by a mobile-order drive thru lane at many locations, encouraging customers to take advantage of expedited service through the Dunkin' app. The Ventnor location opens Tuesday morning at 5 am and will be open seven days a week from 5 am to 11 pm.